It was another long and eventful day in York. Mark King missed the pink for a maximum … away from the television cameras. Liam Highfield nearly sent Shaun Murphy packing, and probably should have: he led 5-4 and had plenty of chances in the last two frames but pressure and inexperience of similar situations were his undoing. John Higgins earned a chance to take revenge on Yan Bingtao but he will need to play better if he is to stand any chance to avoid another pasting instead. Michael White played very well and scored heavily; he set a new tournament High Break at 142. Playing Michael will be Ronnie’s birthday present tomorrow. (hum!). And the press had a field day about Ronnie going to “I’m a celebrity …” with loads of misleading titles out in the papers today. Shaun Murphy almost followed Mark Selby and Ding Junhui out of the exit door at the Betway UK Championship but scraped a dramatic 6-5 victory over Liam Highfield. Top two seeds Selby and Ding both lost before the last 32 stage and fifth seed Murphy stood on the brink of defeat against Highfield several times but eventually managed to make it through to a third round meeting with Jimmy Robertson. Breaks of 50, 96 and 80 helped Murphy go 4-2 ahead then world number 69 Highfield took the next three frames to go 5-4 up. The Stoke cueman had chances to seal victory in frame ten but couldn’t take them and lost a safety battle on the final black as Murphy made it 5-5. A tense 37-minute decider came down to the colours. Highfield ran out of position in potting the last red, and after a bout of safety had another chance but missed a tricky thin cut on the yellow. Murphy took yellow, green and brown which proved enough to get him over the winning line. “It’s amazing how difficult simple decision making becomes under pressure,” said 2008 UK Champion Murphy. “It’s absolutely horrendous and of course that’s what sport is about and that’s why we all love it. 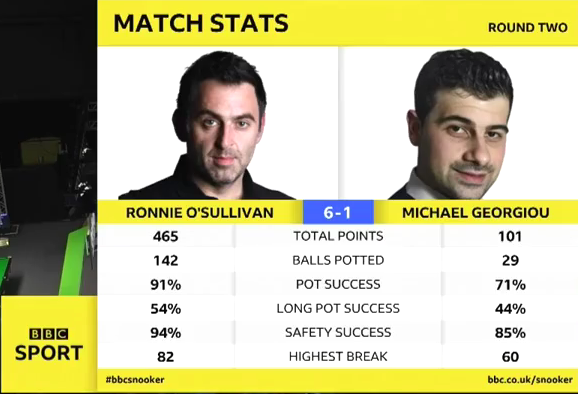 Ronnie O’Sullivan had a far smoother passage to the third round as he beat Michael Georgiou 6-1 with top breaks of 57, 69, 68 and 82. The five-time UK Champion now plays Michael White or Matthew Selt. “Definitely. I was watching the jungle and thought ‘wow, I need to have a go at that.’ You get a chance to go to Australia, get the family out there for a nice little holiday. I am coming round to the idea of it if the price is right. Count me in. There were mixed emotions for Mark King as he beat Mike Dunn 6-4 but passed up the chance of a 147, missing the pink on 134. Luca Brecel made breaks of 107 and 114 in the last two frames of a 6-3 win over Aditya Mehta. Jimmy Robertson came from 5-3 down to beat Alan McManus 6-5, winning the deciding frame by clearing from yellow to pink. Ricky Walden came from 4-2 and 5-4 down to edge out Jamie Jones 6-5 while Kyren Wilson saw off Yu Delu 6-4. Northern Ireland Open finalist Yan Bingtao kept his fine form going as he beat Ben Woollaston 6-1 with a top run of 134. 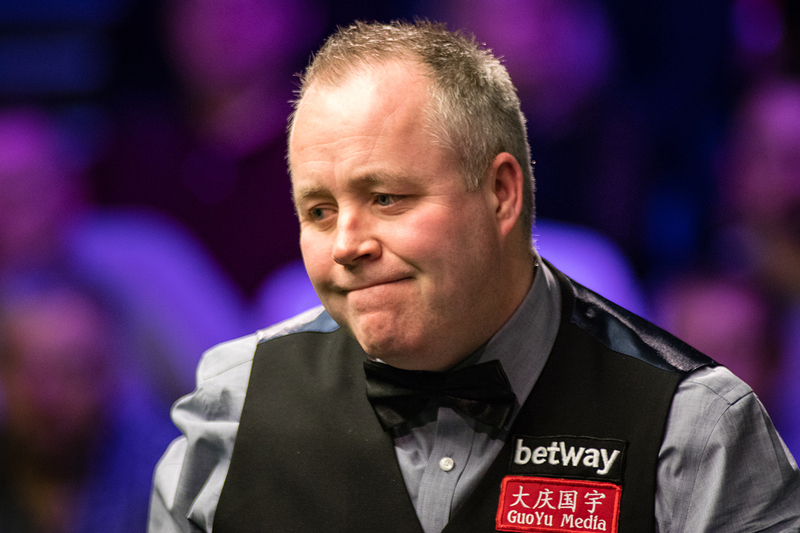 John Higgins scored a 6-4 win over Cao Yupeng at the Betway UK Championship but revealed he needs a new tip on his cue before a tough third round meeting with Chinese prodigy Yan Bingtao. Three-time UK Champion Higgins was well below his best against Cao; a 59 in the fifth frame was his only break over 50. The 42-year-old Scot now plays on Tuesday afternoon against Yan, who beat him 6-2 in the quarter-finals of the International Championship. “I was rubbish tonight, I brought Cao down to my level,” said world number five Higgins. “I wasn’t happy with my cue tip and today when I was hitting balls it was gone. That can happen with tips sometimes. “I’m going to drive up the road (to Glasgow) and ask Fraser Patrick to stick a new tip on for me. I can’t play any worse than that and if I went out with the same tip on Tuesday I would be lucky to win a frame. Iran’s top player Hossein Vafaei edged out Anthony McGill 6-5 in a match which finished at 12.30am. Scotland’s McGill came from 3-0 down to lead 4-3 but Vafaei rallied and eventually won the decider 74-28. World number eight Barry Hawkins came from 2-0 down to beat Hammad Miah 6-2 with top runs of 96, 71 and 90. Martin Gould beat Robbie Williams by the same scoreline with a top break of 135. Michael White set up a match with Ronnie O’Sullivan by beating Matthew Selt 6-1. Welshman White fired breaks of 56, 103, 51, 77 and a tournament-high 142. It was a good night for Thailand as Noppon Saengkham saw off Leo Fernandez 6-0 with a top run of 109 while promising Sunny Akani scored an impressive 6-4 win over Michael Holt with high scores of 79 and 71. China’s Xiao Guodong top scored with 95 in a 6-1 win over Tom Ford. Reanne Evans joined Neal Foulds and Colin Murray in the Eurosport Studio. Nice addiition to the ES team that. Many thanks to Silvry for finding these gems. I’m not sure about that Mark. Today’s match is a right banana skin. If he goes past this one then I believe he has indeed a good chance to make it to the final although any of Dott, Allen or Maguire in the SF would give him a tough test, even Perry.